NO!!!! Before you say “YUCK”, and stop reading I must plead with you to persevere, please??? “How could I possibly change your mind”, you ask? 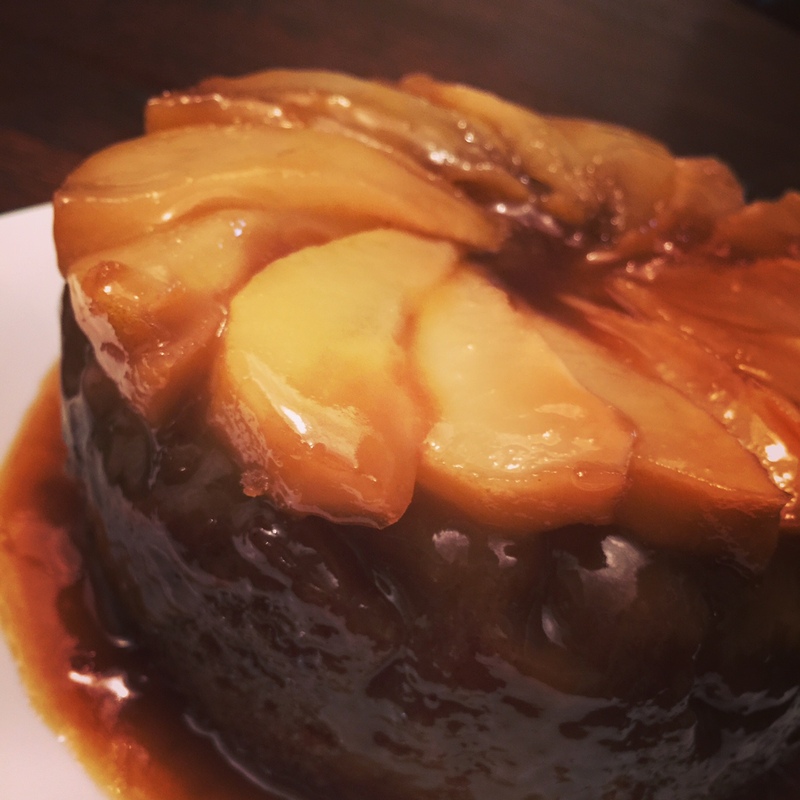 Bliss-ing up simple foods and recipes doesn’t need to be difficult. Just add toffee! Who doesn’t love toffee? Put the word toffee in front of almost anything and it becomes an absolutely irresistable treat. 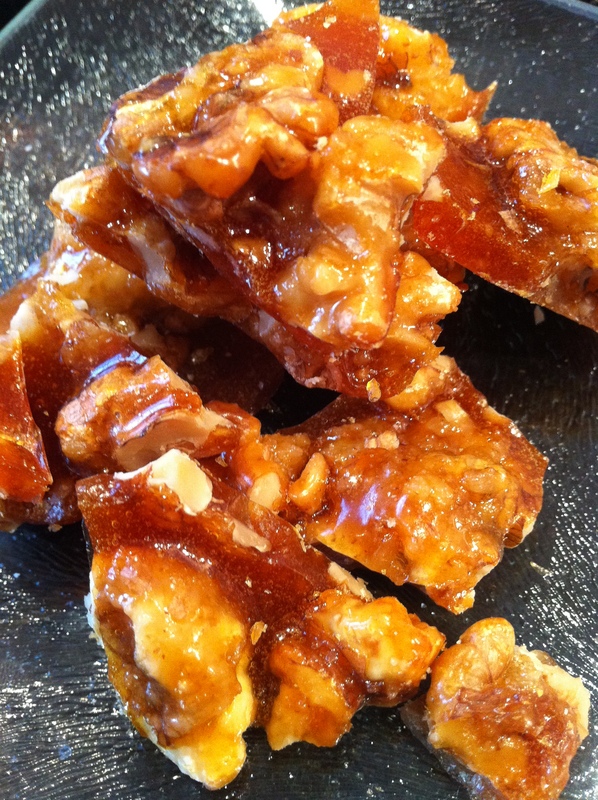 Put toffee in with some walnuts and the flavours meld and mature into something worlds away from the nasty, stale, bits that stay in the nut bowl during the holiday season. I just happened to be in Woolworths today and picked up a tub of Macro walnuts. 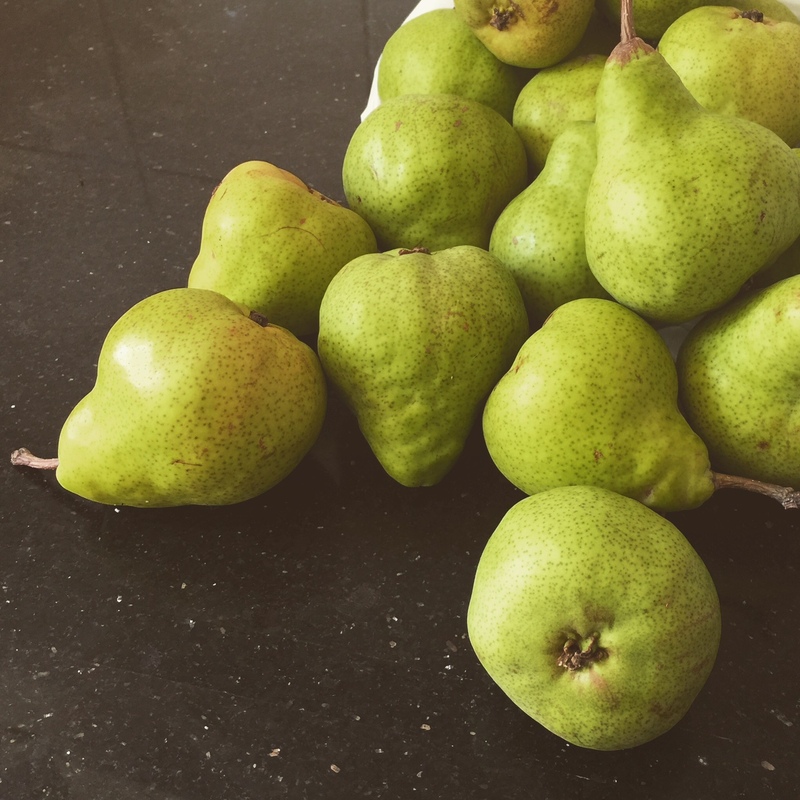 They were crying out to be bought and eaten, but if you can get fresh picked or have a tree, even better! 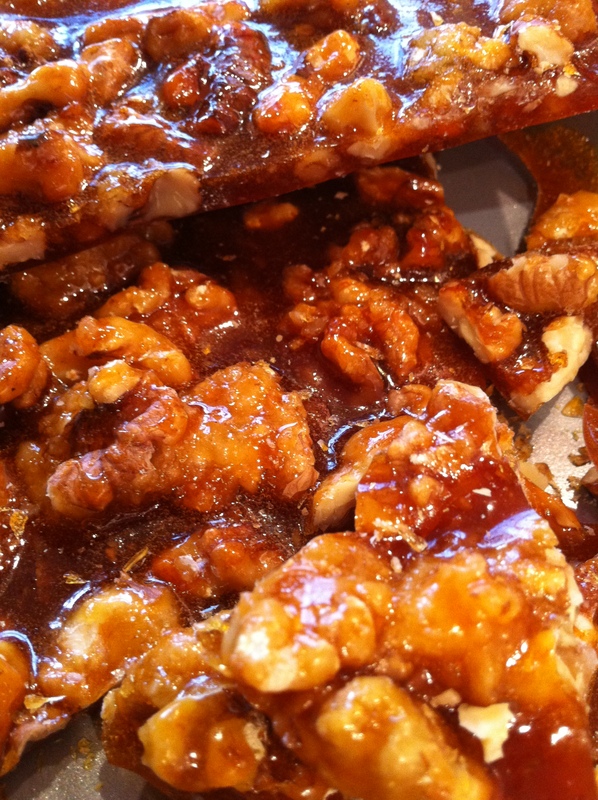 The flavour of a good walnut is already fresher and lighter than anything that may jump out of the murky depths of your childhood food memories, and the very slight bitterness that you notice at the very end is, in fact the perfect foil for a good toffee. 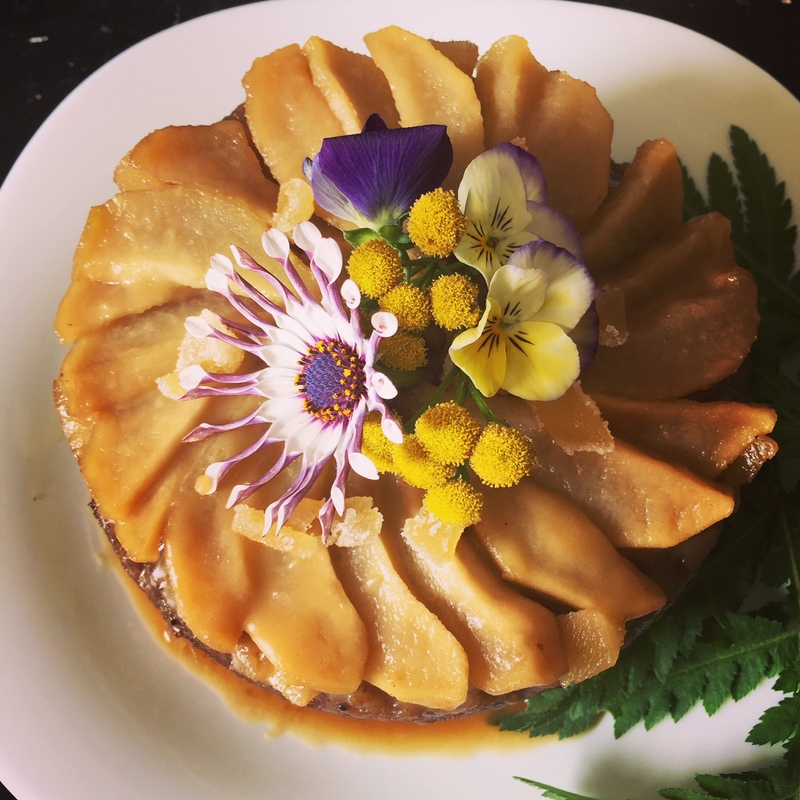 In fact, once toffeed, the humble walnut, takes on a warmth and depth that actually tastes so much richer than the product that you first started with. Eating even just one, immediately evokes visions of open fires and lovely big glasses of red wine. So here we go! Although nut season is Autumn (think squirrels! ), I see lots of shelled nuts readily available at markets now. I guess it takes time for them to be picked, shelled, dried and then get onto the shelf! 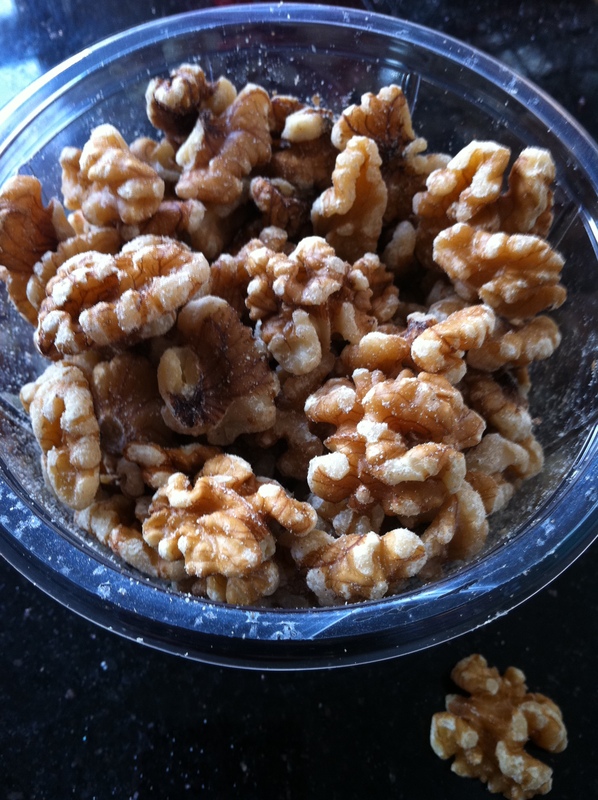 I challenge you to pop out and buy some lovely organic walnuts, and make this really simple, low-cost recipe. Tell me if it doesn’t change your mind about walnuts? A non stick chefs pan is perfect for this recipe but any sauce pan will do. Keep boiling until you get your toffee nice and dark. That’s when it’s at its most tasty! 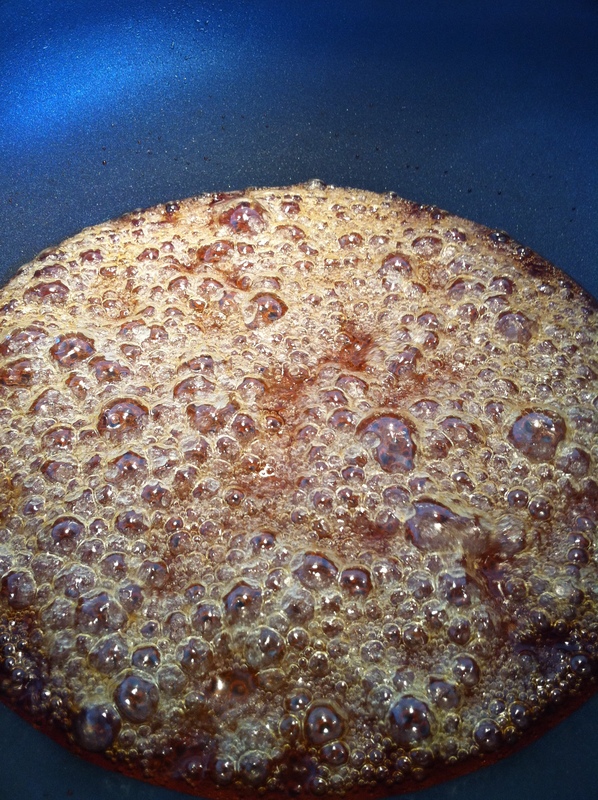 Place sugar and water into pan and stir over medium heat until sugar is dissolved. Increase heat and boil sugar for about 5 minutes or until sugar becomes dark caramel colour. 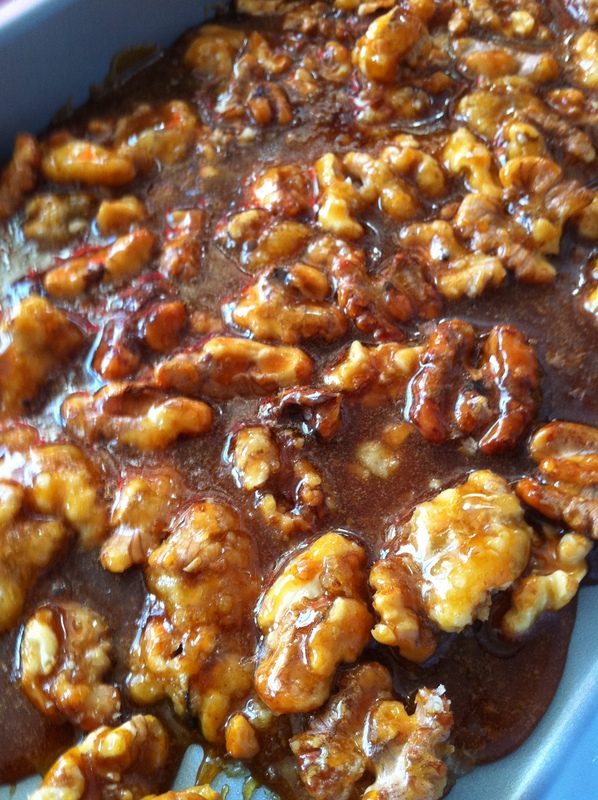 Decrease flame to low and throw in walnuts. Stir until all the nuts are coated. Pour out onto a buttered (optional), non stick pan and cool. Once tray is cool, put into the fridge until toffee is hard. Break apart into pieces and eat as is, or serve as a garnish on desserts.